I have seen the ultimate La Cage-show in London with John Barrowman and Simon Burke as Zaza and Georges. It was clear no other production would ever live up to what those two created with their chemistry, their marvellous voices and their looks. When two truly gifted actors come together, sometimes magic happens and it did at La Cage in London. It certainly didn’t in New York, even tho the Menier Chocolate Factory took their London production to the big white way. Yes, it’s a nice idea to have luscious drag queens entertain the waiting crowd in front of the theatre. Yes, it’s great to have the Dance Master imported from London (Zaza, komm!) and train the new Cagelles. But neither Douglas Hodge (a great actor) nor Kelsey Grammer have any voice at all. Which is kinda sad when you want to listen to “I am what I am” and get a kind of a sing-talk. “Song of the sand” doesn’t even sound half as good when it’s more or less spoken. The chemistry between the two main characters was basically non existent and it escaped me why Zaza has been THE most famous Drag Queen at the Cote d’azur ever. mh. All in all – the story is still good, the Cagelles are a hoot, but both leads are less than convincing. Not something I would want to see ever again. Addendum: at least Grammer didn’t get the Tony he so obviously wanted. It was Douglas Hodge who earned it – and the show as best revival of a Musical. Ah, had it only been with John Barrowman and Simon Burke! 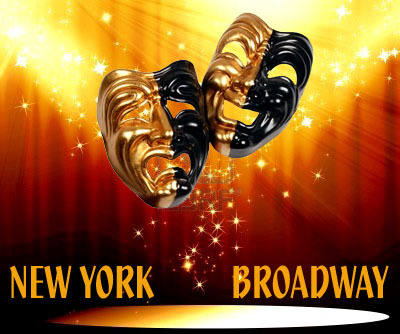 This entry was posted in New York Broadway and tagged Broadway, Douglas Hodge, Kelsey Grammer, La Cage aux Folles, New York. Bookmark the permalink. Did you see a preview in New York, or post-opening. I agree Douglas Hodge had broadened his characterisation for the larger stage and lost some of his subtlety, also that his singing doesn’t translate to the larger space and amplification – although I thought he might have been playing to the gallery a bit as I was at press night – but I thought Kelsey Grammar was superb as Georges, steady and realistic in the acting and a nice open baritone for the singing, especially as Georges isn’t the real ‘singing’ part. Agree it may be a difficult transfer for him to become Albin, but there’s been a suggestion that David Hyde Pierce might join the cast, and they might alternate the roles. That should guarantee it will run for ever. I think I saw a preview in New York – and I truly hope that the chemistry between Hodge (whom I really admire as an actor) and Grammer improved. When I saw the play, Grammer used a lot of annoyed eye-rolling and even a sneer once or twice towards the alleged love of his life and I hope he got rid of that, too. Also, I thought there was a lot of Frasier in his Georges. But maybe I’m just so very picky as I truly love the show and was saddened not being able to enjoy it fully. I realize that you don’t need “singing” voices for both parts, as they’ve more often than not been played by actors with little or no vocal training. But hearing both parts portrayed by actual musical stars (ie John Barrowman, Simon Burke) makes it a totally different experience and enhances it’s brilliance. I really adore David Hyde Pierce – whom I saw and loved in Curtains a couple of years back – and you’re right, with those two (Grammer and H.P.) the show might run forever. I won’t be part of the audience, though. BTW: checked out your great blog and now am quite afraid of my next stop in London – I’m going to see Paradise found and it seems not one blogger had something favorable to say about it… snort.